Try these summer grilling and dessert sauce recipes from Distinctive Inns of New England. Summer time is grilling time, so we polled the Distinctive Inns of New England (DINE) innkeepers asking for some creative additions for the BBQ. 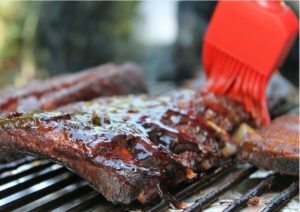 From Dave’s Tomato Butter to Leslie’s Root Beer BBQ glaze, we encourage you to “get sauced” with these creative recipes. 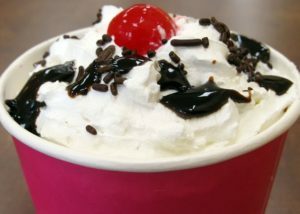 Then top it all off with a chocolate sundae – sauce compliments of the Gateways Inn & Restaurant. Better yet, start planning your New England romantic inn getaway for August, when summertime living is easy. The rockers on the porches, the swimming pools, and the firepits are siimply missing one thing: YOU. Start planning your summer getaway to any of the 12 Distinctive Inns of New England today. Try these recipes and let us know what you think. 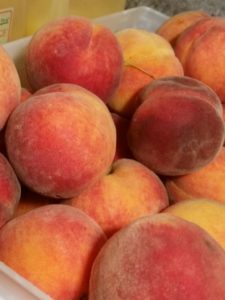 When peaches are in season, it’s best time to explore new ways to enjoy this favorite stone fruit. Without doubt, this versatile Peach Barbecue Sauce recipe will get you rave reviews! Not only can you use ripe peaches, but this is great way to use those over ripe peaches that may be left behind. Don’t let those soft peaches go to waste! Sauté on medium heat for 7-10 minutes or until vegetables are soft. Add spices (ginger, chili pepper, ground mustard, and salt) to the vegetable mixture. Stir to incorporate flavor. Add vinegar, Worcestershire sauce, ketchup, and corn oil. Simmer for 12-15 minutes. Add syrup and cook for 5 more minutes. *** If desired, a little bourbon would be a tasty addition too. 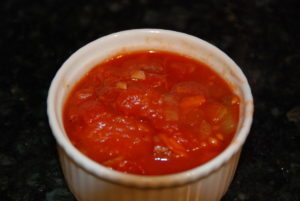 This Tomato Butter is similar to a “Sweet & Spicy” salsa/relish/chutney and adds a “distinctive” addition to egg strata’s, omlets, burgers, steaks, cheese platters and crostini’s. Guests also use it as a spread on toasts and bagels. It’s a wonderful summer treat. In a medium saucepan, combine all ingredients above and stir. Bring to a boil over medium-high heat for about 5 minutes then reduce heat to a low simmer ensuring the mixture is bubbling. Simmer on low heat until the mixture thickens; normally about 2 and ½ hours (yes, that long). After mixture thickens, let cool completely and store in refrigerator. The mixture should keep for up to 5 days. Of course during the summer you not only scream for ice cream, but also something to put on top of it! Here’s a recipe for a rich, delicious chocolate sauce, perfect for that summer chocolate sundae. In a medium saucepan combine ¼ Cup of the cream, the sugar & oil. chocolate and stir until smooth and thoroughly blended. Can be stored in refrigerator for a week. Reheat for serving. 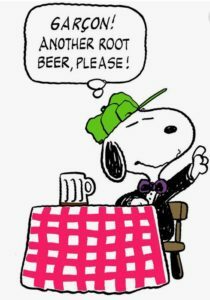 According to our friends at the Rabbit Hill Inn, root beer and BBQ sauce is a match made in heaven. Throughout barbecue season, discover this fun new BBQ sauce recipe with a hint of nostolgia from good ol fashioned root beer. This recipe offers up the right combination of sweet, tangy, and spicy, There are no limits – this awesome homemade BBQ sauce recipe works on everything! Combine all ingredients in a saucepan and incorporate well. Bring to a boil and simmer 30 minutes. Season with salt as desired. This summer, if you can’t make it to your favorite DINE inn, at least you can enjoy some of the tastes of our inns using these recipes. For more recipes from your favorite New England innkeepers, simply click on the RECIPE button above. Plan your next romantic getaway at the 12 Distinctive Inns of New England by clicking on links below that will take you directly to each of their websites, where you can start planning the summer of 2017 romantic soiree. This entry was posted in Gateway's Inn, gourmet, Inn at Harbor Hill Marina, Rabbit Hill Inn, Recipe and tagged BBQ recipes from innkeepers, chocolate sauce recipes, delicious recipes from New England innkeepers, foodie inns, foodie New England inns, grilling sauce recipes, Recipe from Gateways Inn, recipes from Inn at Harbor Hill Marina, recipes from Rabbit Hill Inn, sauces for grilling from New England innkeepers, summer BBQ recipes, summer grilling recipes, summer grilling sauce recipes, summer recipes, summer recipes from innkeepers by DINE Blogger. Bookmark the permalink.